Fallen and invasive plant life are both a fact of life all across Canada. Ontario is known far and wide for its natural landscapes but keeping nature separate from your property can be difficult. When you find your home or business becoming cluttered up with natural debris, our Brampton roof cleaning and moss removal can get rid of it for you. It can difficult to decide what the perfect time for your Brampton roof cleaning and moss removal is. You might put it off because you are busy, or the weather isn’t great, or you just don’t think that your roof needs it but every day that passes is a missed opportunity. With every strong wind, rain storm or snow fall, your roof is collecting new and unwelcome debris. This debris might seem like a minor nuisance at first, but the issues that come along with it can be major. Organic materials spends its entire lifespan collecting moisture in order to grow, and this does not stop just because it is dislodged. Instead of hesitating, call for your Brampton roof cleaning and moss removal as soon as clutter becomes a concern, or for routine maintenance. 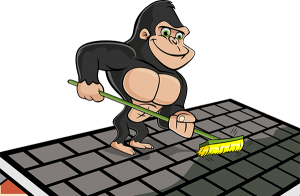 Instead of pushing clutter off of your roof and into your yard, our Gorillas make sure that anything removed from your roof is removed properly. Once the surface clutter is gone, our Gorilla technicians have a proper view of what is going on underneath, namely moss. 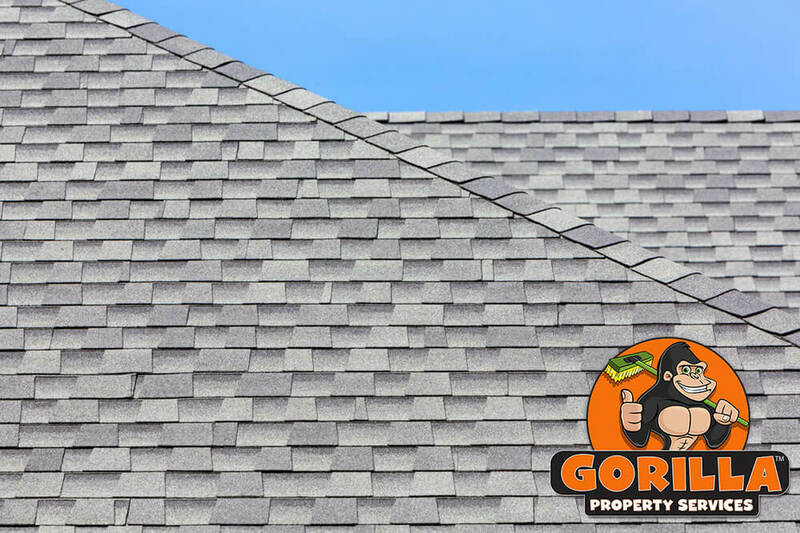 If moss has taken over the roof of your property, its days are likely numbered unless you call on our Gorillas. Moss spreads with the help of the moisture that becomes trapped between the roofs surface and the debris that is left on top. As moss spreads, it weaves under and over shingles, it can soften, rot or damage the materials underneath. This plant growth can lead to costly replacements or repairs. Save yourself the trouble with our Brampton roof cleaning and moss removal service.